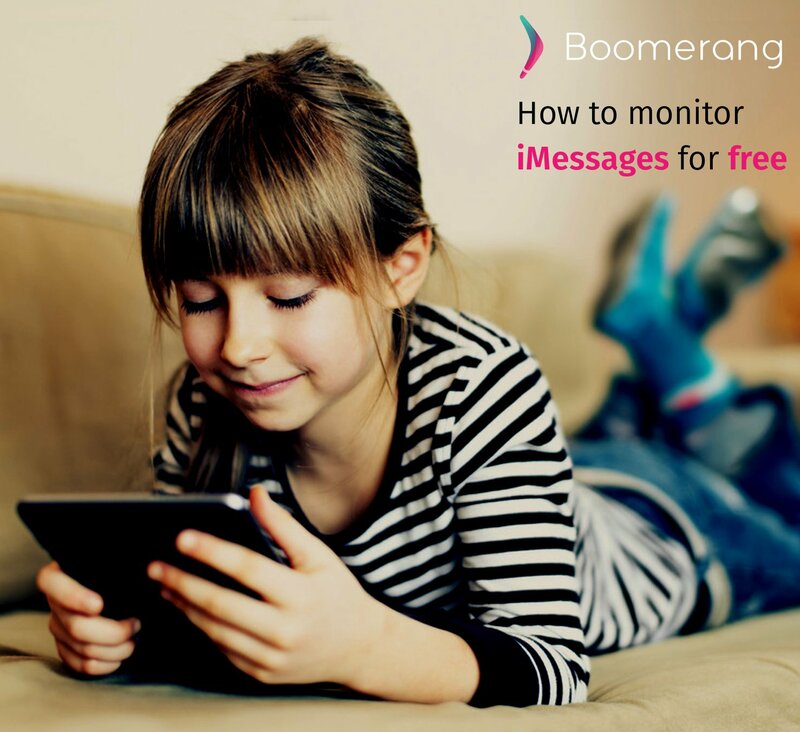 Many of our iOS users enjoy our screen time schedules, location and app controls we offer for iOS devices but quickly get back to us with a simple question: “how do I monitor my child’s iMessages?” The answer today is that Boomerang Parental Control will not monitor your child’s iMessages but we want to share 2 options with you; one is free and the other is a great solution from good friends of ours at Bark. You may also have to “trust” this device for “handover” under Settings > Messages. Open the Messages app and enter your child’s iCloud credentials. Under the Messages Settings, go to Accounts and make sure the “You can be reached for messages at:” is set to your child’s phone number. Keep this account running in the background and it will collect messages from your child’s device. Bark is a parental control tracker for various social media platforms and includes support for iMessages. It allows parents to track inappropriate and flagged content across social media platforms such as Instagram and Snapchat. Sign up over at bark.us and use the useboomerang promo code to get an additional month on your trial! There are additional steps to achieve success and they’ve done a great job documenting them here. Want Apple to be more open with their platform?